GoPros are the premier action cameras on the market and no one will deny that. While other manufacturers have begun to create their own versions, GoPro remains at the top. 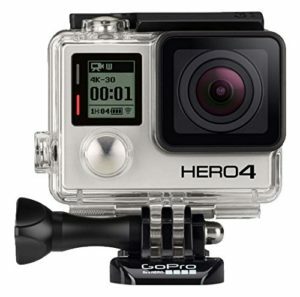 GoPro has the widest range of action cameras available for purchase. We’ve picked out the ones that will best fit extreme athletes, or just about anyone looking for a high-quality action camera. Even though it’s still pretty new, the HERO6 definitely tops the list of any action camera comparison guide. It doesn’t differ too much from the HERO5 on the outside, but the inside specs are going to blow your mind. At 4k/60FPS, its the fastest shooting camera we’ve heard of. If you thought the HERO5 was a step above the competition, the HERO6 blows it out of the water. 60FPS is unheard of in the action camera market. 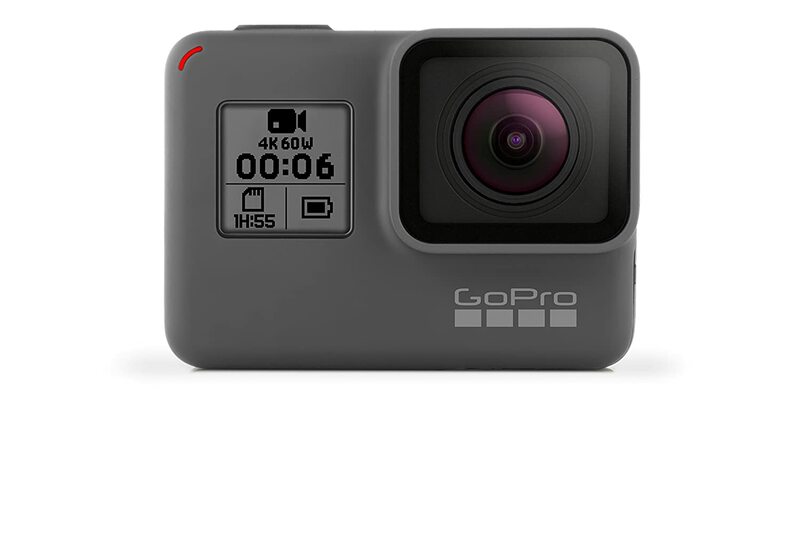 It is waterproof up to 10m and it uploads footage directly to the GoPro app for so you can edit footage that’s already in groundbreaking quality. The HERO5 is probably the best action camera on the market of any sort. Although it comes at a steep price, it combines stability, high specs, long recording time, voice control, touch display all with a moderate operating floor of around thirty-three feet underwater. Along with multiple shooting modes, the HERO5 is virtually unmatched in its versatility. Since it is the latest and greatest model in GoPro design, the HERO5 is going to be subject to some software updates after your purchase. Some users have found this process a little tedious and risky since you really have no control over the update. Should anything bad happen to the HERO5 during a software update, you should consult forums and check the warranty on the camera. In the end, the HERO5 is still our first choice for the best action camera. The price is deterring, sure, but for all its features and capabilities, the HERO5 is well worth it. The HERO5 Session is part of the same line of HERO5 cameras but overall a different design. The Session has just about every feature the HERO5 does with the exception of a touchscreen on the back, hence the design change. You’re probably asking yourself, why is the HERO5 so popular while the Session has almost identical features for cheaper? The Session does have a shorter battery life, by nearly an hour, and lacks a touchscreen. Whether or not one cares about the lack of these features is going to be different for each individual person. Make no mistake, the Session is still a great camera and further simplifies accessibility by being so small. The HERO4 is not too far beyond the HERO5 line in terms of specs and capabilities. 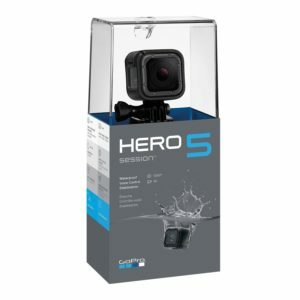 It’s overall cheaper than both the HERO5 and the Session and still sports 4k quality and 30FPS. While it’s production has slowed compared to the HERO5 line, the HERO4 was basically the HERO5 of its day when it was GoPro’s most up to date model. The difference overall between the HERO4 and 5 lines are isn’t enormous, and we guarantee you’ll be happy with either camera. The key to this debate between the HERO4’s and 5’s is do you want the best that action camera has to offer today or are you content with a later model that users have proven works just as well? The HERO3+ is the oldest model of GoPro on our list, but for good reason. You can either purchase them new for more money or refurbished for less. Refurbished means they were previously owned but have been cleaned, updated, and restored to all but new status. The HERO3+ shows its age but not being capable of 4k quality, with the highest being 1080p. You’ll notice a difference between the two settings but 1080p is still nothing to be ashamed of. The HERO3+ is still a tough camera and built to handle the elements. Sure it doesn’t come with the features that make the HERO5 line flashy but its affordable and gets the job done. There are a bunch of GoPros out there, and it can be difficult to choose which one fits your style. 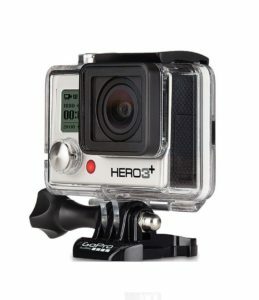 Some GoPros are no longer manufactured but are refurbished if they are returned. To help you gain a better perspective on which GoPros to look into, we’ve written up a guide concerning certain aspects of GoPros. 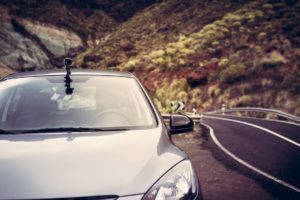 These categories will range in importance to each individual person but nevertheless, you should pay attention to them if you want to get the most out of your GoPro. The newest versions of GoPros are becoming easier to handle. By this we mean how easy it is to record videos, make slight adjustments to them, and keep on recording. The HERO5 line of GoPros uses only a single button to control to start/stop recording. This is easier than using a remote attached to your wrist that may or may not be waterproof itself. The touchscreen on the back is also easier to use than buttons. If you’re looking for an easy to use action camera, the newest models of GoPros are going to be your camera. However, if you don’t mind the button mashing for a lower price, the older versions will work just as great. This a huge aspect of your decision. Say for example you plan to go on a backpacking trip or somewhere far away from the nearest power outlet. You want to trust that your GoPro will stay alive for at least two hours. Anything less than that probably isn’t worth the price. 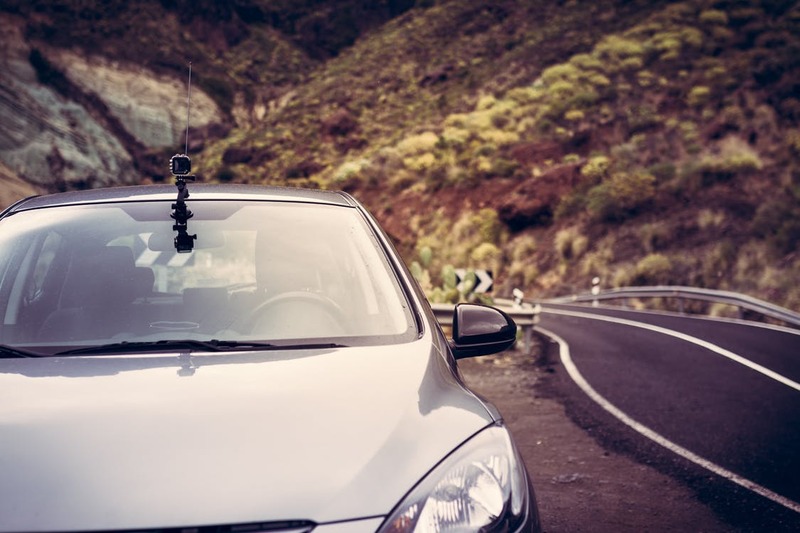 Some GoPros have been known to go beyond three hours if they are well maintained and kept safe when not in use. GoPros are built to handle the elements, but the one element you really want to watch out for is water. Some of them will advertise themselves as waterproof up to a certain depth. This is the maximum operating floor of the GoPros until water pressure begins to affect the electronics. Be aware that not all GoPros are waterproof, particularly the older models. Check the descriptions carefully for a waterproof notice and its operating floor. There’s a difference between taking a GoPro snorkeling (not far beneath the water), and diving (deeper). 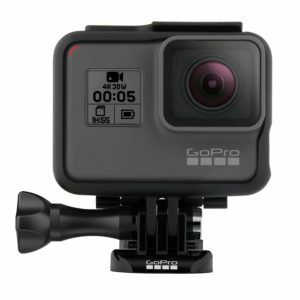 GoPros are the tippy top of action cameras and thus most of them are going to shoot in 4k quality, the highest any action camera can go. In case you aren’t aware, when action cameras or any camera/video for that matter say that they can shoot in 720, 960, 1080, 4k and so forth, they are talking about the camera’s resolution in pixels. A camera that is capable of 4k quality is going to fetch a higher price than those with just 720p. Some will only go as high as 1080, which is still pretty high. You’ll want to avoid high priced cameras that only go up to 720p, as those are just scams. Frames per second (FPS) is another spec you should pay attention to. Frames per second refers to how fast a video plays once you’ve taken it. A camera with a high FPS is going to play your videos in what looks like Blu-Ray quality, or “close to real life”. In comparison, cameras with low FPS are going to be slower. If you’re looking to get a little crafty with your shooting methods, certain GoPros will offer more shooting modes. These modes will contribute to a price increase but are a pretty neat addition to an already exceptional camera. Once you’ve mastered the normal recording method, these modes will offer you an artistic view of your journeys. Most GoPro accessories like mounts, straps, and selfie sticks will come separate from the camera itself. It’s a little tedious to have to purchase them separately but ultimately necessary. In these accessories bundles, you’ll want to ensure that you get all the correct mounts if you plan on mounting it on a helmet. It’s better to have an excess of ways that you can handle the GoPro than having to go back purchase yet another bundle. Whether you’re boarding down a hill or riding down a treacherous mountain, you want a camera that remains stable. You’ll never get the same quality as if you were standing still, but you still want to comprehend your videos. Certain GoPros, like the HERO5 line, employ a state of the art stabilization software to keep the camera focused during sharp maneuvers and movements. If you’re an extreme athlete, then a GoPro with advanced stabilization will probably be worth the few extra bucks. The Polaroid Cube+ is Polaroid’s addition to the action camera market.